Swimming pools are wonderful things. The varieties are endless and the sky is the limit on styles allowing each home owner a personalized slice of heaven in the backyard. 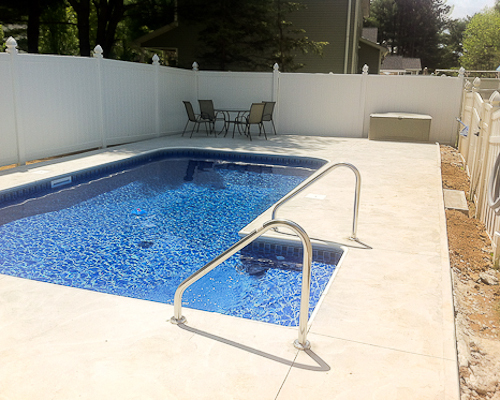 Properly installed pools will last decades and properly installed pool decks are essential to the beauty and health of your pool. 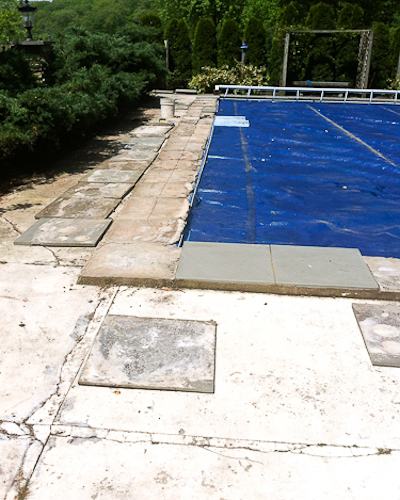 Don't let issues with your pool or pool deck get away from you. 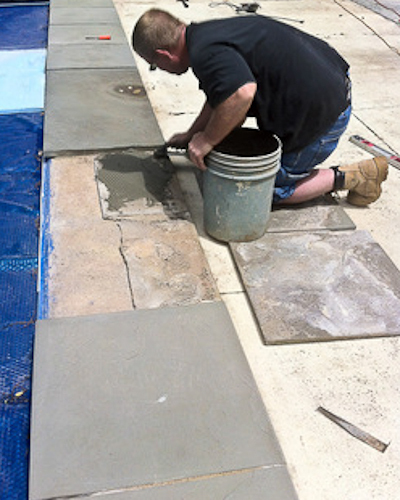 Routine maintenance is necessary to extend the life of your pool by keeping the liner healthy and guarding against leaks. ​Your pool deck is also an important area to overall pool health. If you have small children and would like to have some water activities in your yard, consider a dual purpose splash pad. 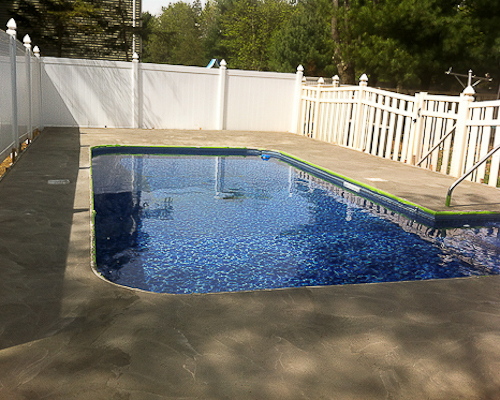 These pads are essentially concrete patios with water hookups that give the kids some great outdoor fun without the hazards of a pool. 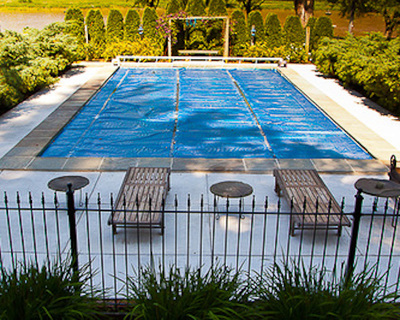 ​A well placed splash pad can later double as a pool deck when the children are older. Natural swimming pools and ponds have long been a favorite retreat abroad and they are beginning to catch on in the United States. Similar in design to natural habitat KOI ponds, they use biological filtration systems that are separated from the swimming area. The filtration area uses substrate and local flora the same as the area's crystal clear bodies of water do. 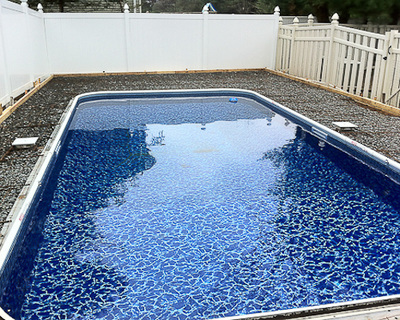 The deeper swimming area can resemble a traditional pool or be custom designed to more resemble a natural body of water. The water (which can be UV filtered) is gravity fed to the distribution shafts and them pumped back into the filtration area. Earth friendly and solar heat pumps are available as well as traditional electric or gas heaters to maintain a comfortable water temperature and extend the season. 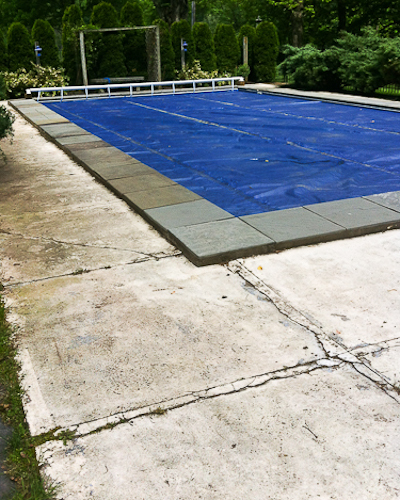 One of the perks of this style of swimming area is the low off season maintenance and the brilliant ability to create an ice skating arena in the winter months. Each NSP is totally unique, and so each has a different "break-in" period during which the system finds balance. While NSPs can be used for swimming immediately, it takes approximately two to three years until a stable biological equilibrium is reached. Once an NSP has reached equilibrium, it requires considerably less regular maintenance than a conventional swimming pool. Seasonal care and maintenance is still required over the course of the year, though even this differs from care of a conventional swimming pool. For example, ducks and other water fowl in migration have been known to visit NSPs during the winter months. Spring: As winter turns to spring, plants in the regeneration zone must be pruned and tended to avoid over growth, just as in any typical garden. Any dried or dead plants must also be removed. Migratory water fowl also tend to stop at natural swimming ponds in the late winter and early spring months. While they may add to the bucolic aesthetic of a well-built NSP, steps must be taken to minimize any foreign contaminants that would compromise swim water quality that such animals can introduce to the NSP (e.g. installing filtering plants such as water hyacinth and water lettuce). Summer: On windy, warm, and dry days, water can evaporate at the rate of up to 1 cm per day. If the water level gets too low, water must be refilled in order to protect the plants planted hydroponically in the regeneration zone. Autumn: Dead leaves that fall off trees can make their way into the pool and decompose, introducing microorganisms and nutrients that may serve as food for algae growth. 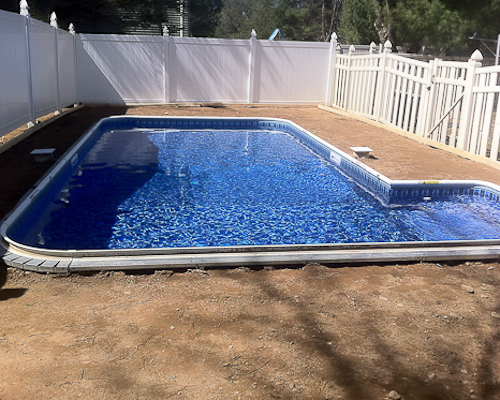 In the late autumn months, netting can be stretched over the pool to catch larger leaves before they fall into the NSP. Winter: While NSPs are allowed to freeze over, and many owners enjoy seeing frozen ponds in their backyards, extended freezes should be avoided as carbon dioxide can accumulate underwater, unbalancing the NSP system. Excessive snow cover may also damage the plants in the regeneration zone. 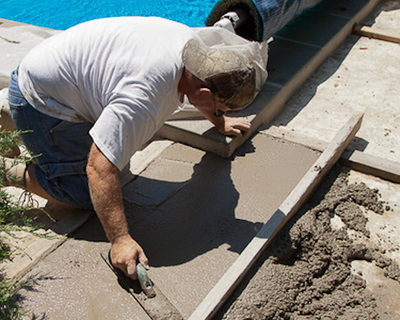 Follow Bill Pearn Masonry - Construction: Mason Concrete Basement Waterproofing's board Swimming Pools and Ponds on Pinterest.